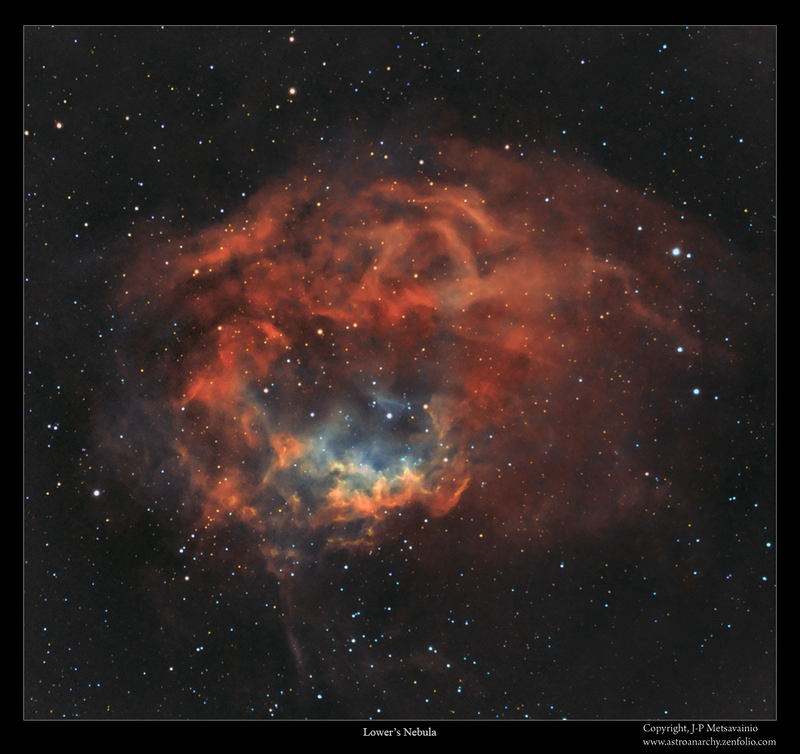 I have published a photo of the Lower's Nebula in mapped colors about a week ago. 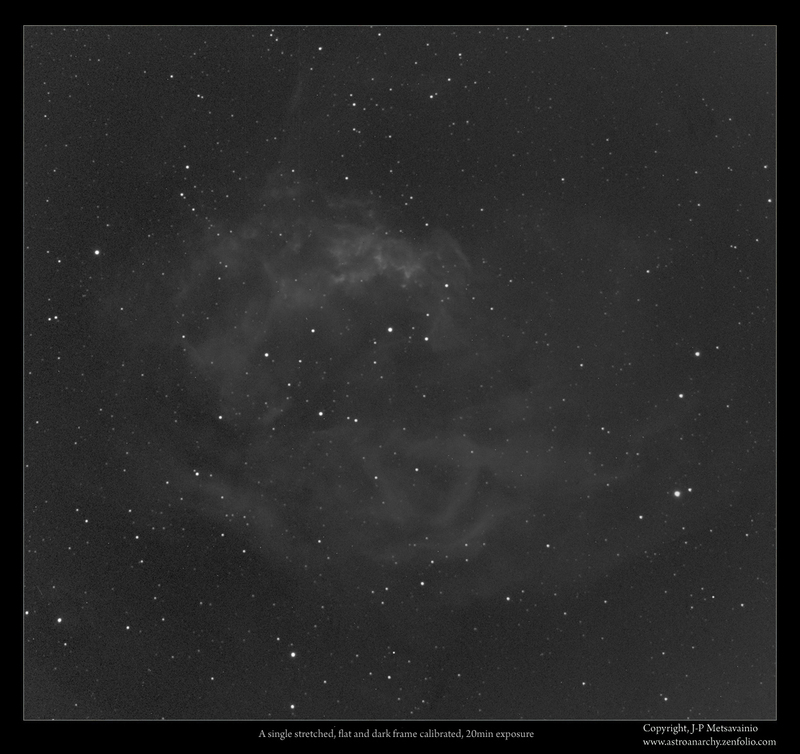 Now I'm publishing the same nebula as a visual natural color version. Narrowband emission from hydrogen, oxygen and sulfur (H-a, O-III and S-II) are combined so, that the result is very close to a visual spectrum. Since the ionized hydrogen emits red light and it usually dominates nebulae, images are more or less red. Blueish hues are from ionized oxygen, O-III. Sulfur, S-II, emits red too and it get mixed to a hydrogen emission visually. Image is in natural colors from the light emitted by an ionized elements, sulfur, hydrogen and oxygen.